Sutherland Shire Libraries are continuously looking at the services we provide you, our customers. With this in mind we are running a survey to find out what you would be interested in attending, were we to offer it. The survey is very short and will only take you a minute to complete. Please complete the survey and help us plan better library services for the future. Alternatively, you can complete a survey next time you are any of the Shire’s 8 branch libraries. 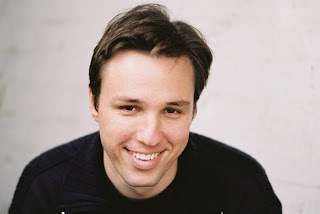 To help us celebrate Youth Week this year Markus Zusak is coming back to Sutherland Library. This time it is high school students that will be able to attend and enjoy listening to an award winning local author. Keep the evening of Monday 31st March free and book in for a great night with Markus. Markus grew up in the Sutherland Shire. He occasionally works as a high school English Teacher, and plays in a football team that never wins. His work is widely acclaimed and is published in the USA, UK and throughout Europe. His books include the award-winning trilogy The Underdog, Fighting Ruben Wolfe and When Dogs Cry as well as The Messenger and his most recent novel, The Book Thief. High school students can book their spot on 9710 0178 or drop into your local Sutherland Shire Library. An exciting new format will be available for borrowing from 17 March. 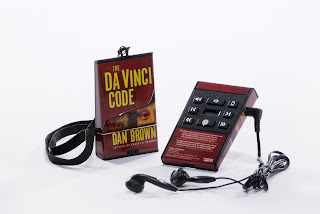 The Playaway audio digital book! So what titles can you get on Playaway? How about Down Under by Bill Bryson or Rumpole for the defence by John Mortimer. There's Artemis Fowl by Eoin Colfer and Sense & Sensibility by Jane Austen. Check out the full list of titles and reserve one today!